Our reclaimed wide plank Douglas Fir flooring is known for giving a very traditional look with a deep orange/red patina and mixed grains. As in any reclaimed material, you should expect nail holes and natural character to be present. Here at Bingham we source or reclaimed Douglas Fir from timbers from deconstructed mill buildings, as well as large industrial use buildings. These timbers tend to be smooth and free of mortise and tenon joints and can yield an array of different grades and widths. 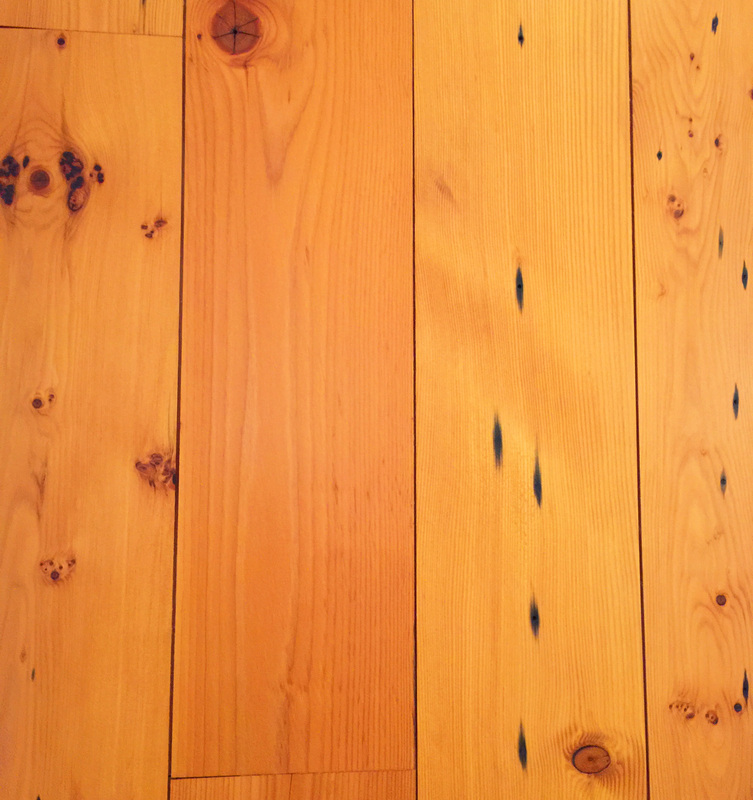 However, we do come across antique fir flooring as well as antique shiplap fir boards that are suitable for flooring use. * Please note due to the reclamation process and the natural differences in reclaimed wood, our displays and samples are close representations of a finished product. Each floor is unique and may contain more or less characteristics than represented. Wood is a natural product and because of this we recommend ordering samples of our products before making your flooring choice. We will send multiple pieces of each product to give a full representation of the grade and specie. Together, these pieces represent the grade, specie, or product specified. Please do not reference an individual sample, piece of the sample or image as an accurate representation of the entire grade, specie or product. Please consult your sales representative with any questions or to request more samples.